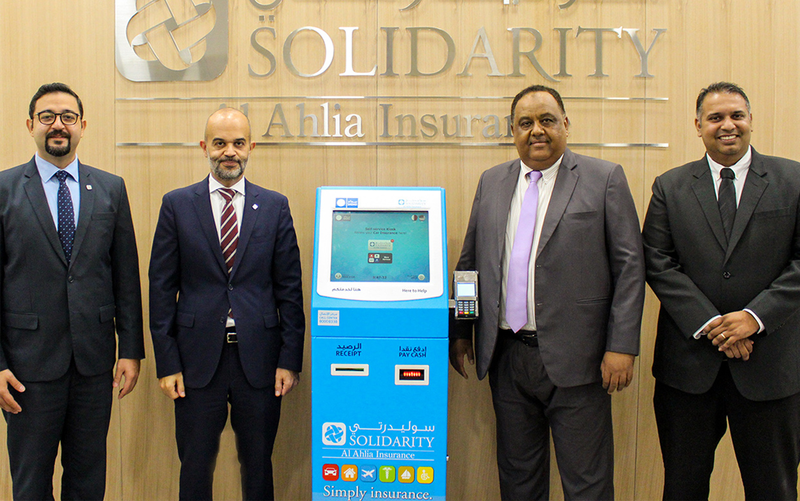 Solidarity Bahrain B.S.C., one of the largest insurance companies in Bahrain and a subsidiary of Solidarity Group Holding, has announced its partnership with the payment gateway firm SADAD. The tie-up will provide Solidarity customers with 24/7 insurance renewal services through more than 750 self-service kiosks countrywide. “Solidarity has built a strong reputation in the industry with their premier insurance solutions,” said Dr. Rifat Mohamed Al Kashif, SADAD Board Member. He added “We are excited to grow our partnership to make it easy for customers to securely process their insurance payments in-person at our online payment channels and 750 kiosks dotted across the Kingdom”. “SADAD’s commitment to simplifying electronic billing and payment processing for business aligns with Solidarity’s core value of making in-person payments as seamless as possible for their customers”. For his part Mr. Noel Silveira, Director of Business Development at SADAD, said: “Not only does this partnership allow us to offer clients with more payment processing options, it also shows our excellent capability to deliver convenient, fast and secure payment services that allow for ease of doing business at all levels”. SADAD’s online bill payment services enable customers to pay anywhere, anytime and from any device. By simply downloading the SADAD app which is available for both iOS and Android users, customers can utilise a completely mobile-optimized experience that is compatible with any smartphone, computer or tablet.